Tuff Flags prides itself in going well beyond the Industry Standards. 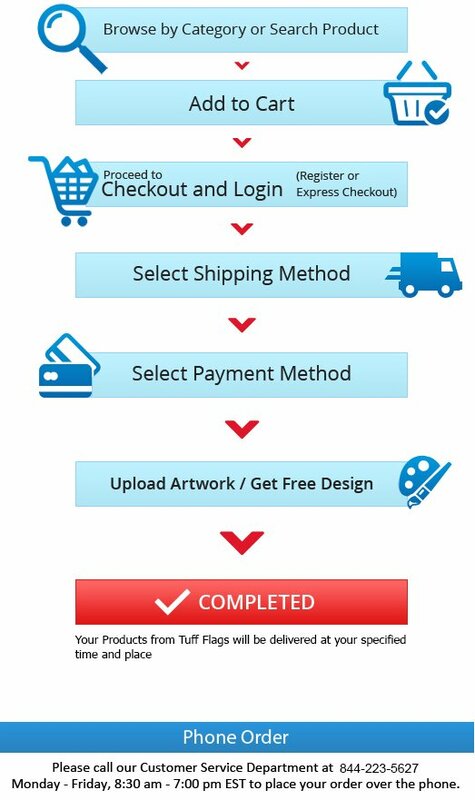 We do so with additional reinforcements to our flags, the caliber of industrial printers and inks, and by improved sewing methods such as CHEF. All of these measures increase the expenses and investment we put into our flags It's one of the ways we differentiate our products and create a significantly superior American Flag. Some customers are completely satisfied with flags at industry standard quality. For these customers we offer a product comparable or better to the flag you would buy from most primary dealers. 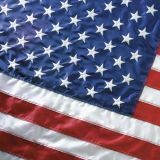 Our U.S. flags offer the features embroidered stars, sewn stripes, 200 denier nylon and 4 rows of reinforcement stitching on the fly-end as you will find with the most commonly known competitors and you will save 30% to 50%. The other most common brands on the market are priced 25% to 100% higher. Check out the price you're currently paying and compare it to our Commercial Basics US Flags. With these savings, test one of our Commercial Basics Flags against your current brand and compare the value and quality. Made in America (Letter of Origin Available). If you're satisfied with the industry standard US flags common in the market, try our Commercial Basics US flags and save 30% to 50%. 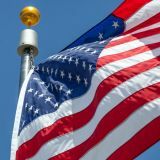 Our Commercial Basics American Flags offer the same features and perform similarly or better to common brands heavily promoted in the flag market. The Major Difference in ours is our incredible savings. 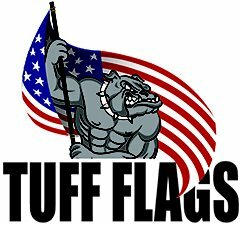 Our most well-known competitors are priced 25% to 100% above Tuff Flags' Commercial Basics U.S. Flags even when these brands are on Sale. Look at the price of your brand. Test a Commercial Basics American flag against your brand and you'll find astronomical savings on a commercial grade U.S. flag. Made in America (Letter of Origin Available).